Attending concerts is fun but can result in scary health conditions. 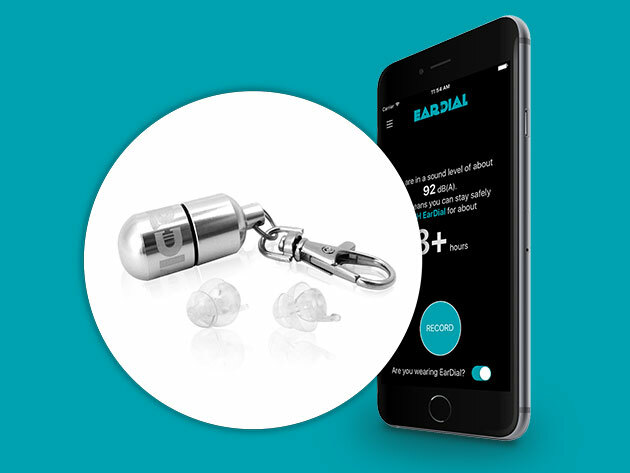 The EarDial: The Invisible Smart Earplugs for Live Music are an easy way to protect your ears when enjoying music. The earplugs are on sale for 39% off this holiday season. Unlike older versions of earplugs, the EarDial: The Invisible Smart Earplugs for Live Music sleek design is hardly noticeable. Use the accompanying app to measure the sound level in your location. The price has been reduced by $19.99 for a sales price of $21.99. Enjoy music without compromising your health when you buy the EarDial: The Invisible Smart Earplugs for Live Music in the Daily Caller shop for a sales price of $21.99. Get an extra 19% off to celebrate the new year by using the coupon code NEWYEAR2019 at checkout, bringing the price down to $17.81.